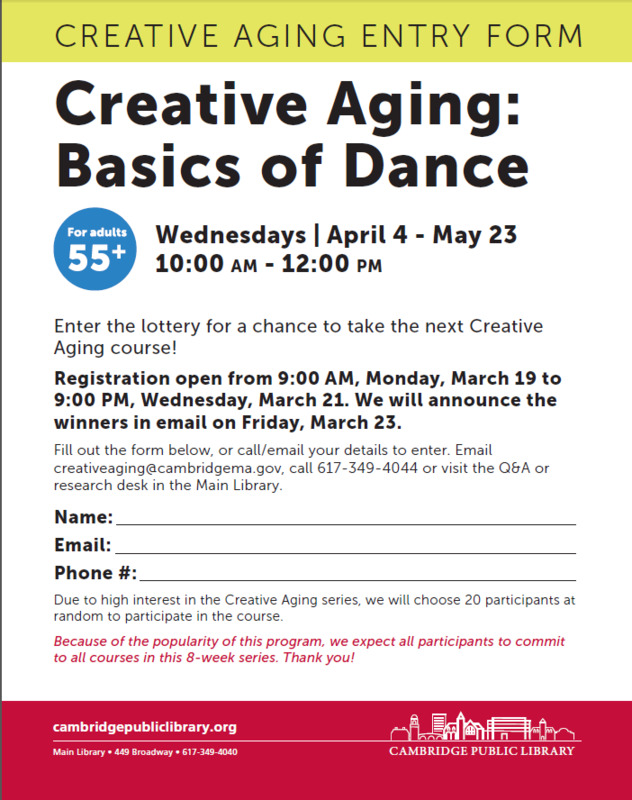 Join teaching artist Michael Winward in an 8-week course to learn the basics of dance! Learn the waltz, foxtrot, tango and more. Registration open March 19 - March 21. Registration forms will be available at the Main Library, Q&A desk beginning Monday, March 12.